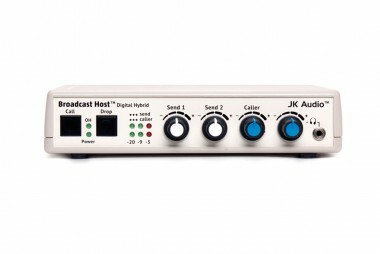 The JK Audio Broadcast Host is a telephone/audio desktop studio interface designed for easy integration with computer-based workstations, mixers, recorders, etc.  The idea behind the Broadcast Host is to provide a noise-free telephone interface for recording interviews or IFB-style audio transmission while in remote locations. 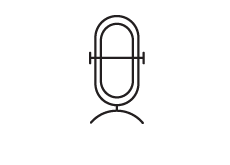 An XLR-female input allows a microphone or line level signal to be fed into the phone line. A second 3.5 mm mini input is provided for output devices with a mini output. A 16-bit Digital Signal Processor (DSP) continuously monitors both the phone line and audio signals to deliver excellent separation.  This eliminates the noise and cross-talk associated with audio over phone lines, providing a clean, broadcast-quality audio signal on output. An XLR-male Caller output provides an isolated out for the caller signal alone, and a 3.5 mm mini stereo output provides a mix of both incoming and outgoing signals.